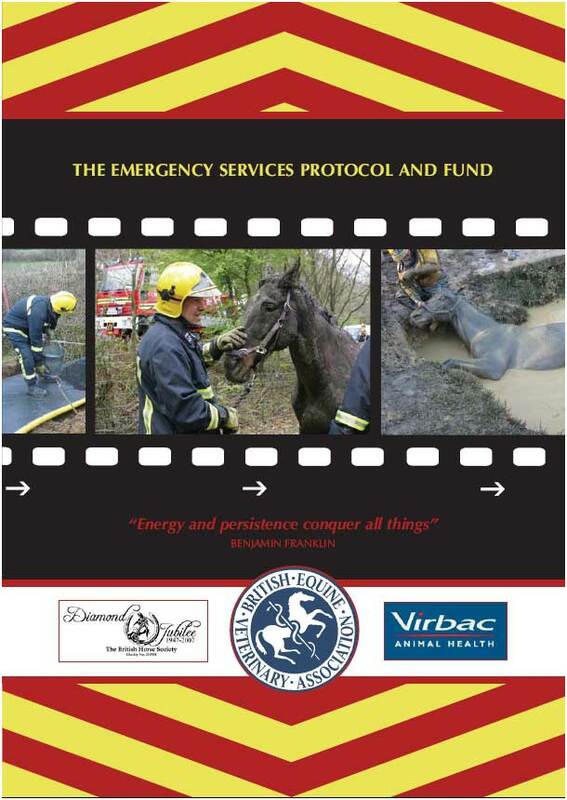 · Guidelines to help the emergency services cope better with equine incidents were launched in May 2007. · The guidelines aim to ensure any horse involved in an accident receives proper care as quickly as possible. They cover everything from how a 999 call should be dealt with to advice on identifying horses and coping with a large animal in an incident. · An Emergency Services Protocol Fund has also been set up by the BHS and BEVA, to help minimise delays for injured horses receiving veterinary care when their owners cannot be traced. The fund will also pay for rescue training and specialist lifting and rescue equipment for the emergency services. · To donate to the fund, contact BEVA (tel: 01638 723555).